If you’ve been charged in a crime in a Michigan court, there will come a time, known as the arraignment or arraignment on a warrant when those charges will be read in court and you’ll be asked to enter a plea. If you have a knowledgeable retained Michigan criminal defense attorney, you will “stand mute” at arraignment and the court will enter a plea of “not guilty” for you. At some later time in your case, you may decide a different type of plea is appropriate. If you plead guilty to a crime, you’re admitting you committed it, giving up the right to present any defense for your actions and agreeing to court-imposed punishment. A guilty plea must be made voluntarily, intelligently and knowingly. If any of these conditions do not exist, your guilty plea can possibly be thrown out or set aside with a motion. If you plead not guilty to a crime, you are disputing the charges against you or disputing that the prosecutor can prove the charge beyond a reasonable doubt. By entering a not guilty plea, you are asking to have the evidence against you presented at trial, be given the opportunity to dispute that evidence, produce your own evidence and have a judge or jury decide your guilt or innocence. A not guilty plea can always be changed to another type of plea if it is ever in your best interest to do so. This indicates that the defendant either doesn’t understand the consequences of his actions because of mentally impairment or he was unable to conform his actions to the law by reason of mental illness or other defect. A no contest plea is similar to a guilty plea because you are not challenging the charges against you. But at the same time, you are not admitting or denying guilt. The advantage of a no contest plea is that you do not have to say how the crime was committed, generally the parties just agree to the facts based upon the police report or other evidence available. What is a plea bargain or plea agreement? 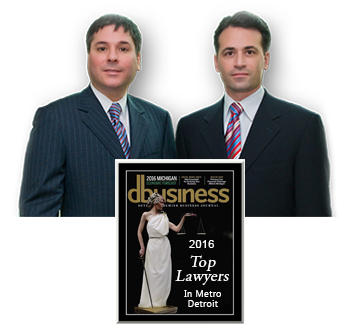 In a plea bargain or plea agreement, a Michigan criminal defense attorney and the prosecution work out a deal, which is known as a plea bargain or agreement. In a typical plea deal, the defendant agrees to plead guilty to the crime in exchange for some favorable treatment from the prosecution or the judge (often called a Cobb’s Agreement). Both sides usually get a benefit. For instance, the prosecution is guaranteed a conviction in some form, and the defendant may get a lighter sentence or lower charge than he might receive if he went to trial and was convicted by a jury. The plea bargain usually occurs after a defendant has plead not guilty or stood mute during the criminal arraignment. In counties other than Oakland County, Wayne County, Macomb County, Livingston County and Washtenaw County, different practices and procedures may apply.